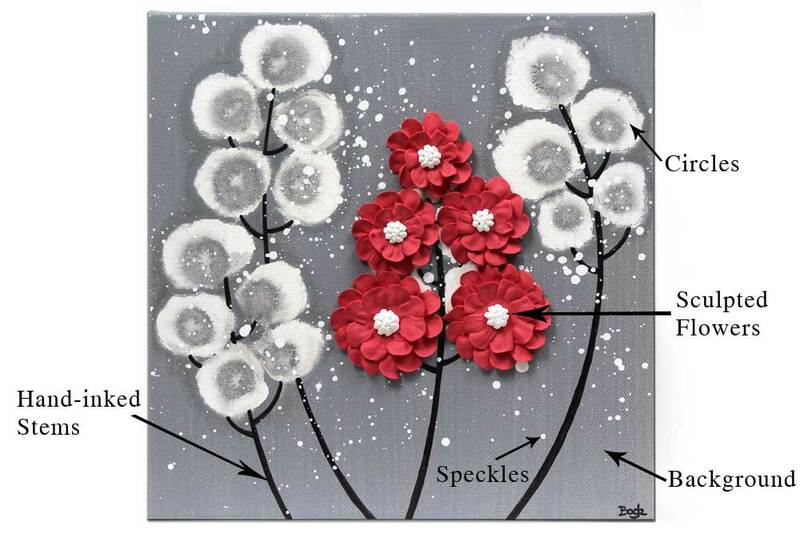 Your small flower painting will be an original artwork, hand-painted by artist, Bethany Ogle. The small canvas is a 10″ x 10″ square. The artist will hand-sculpt the 3d flowers in the colors you choose to match your decor. 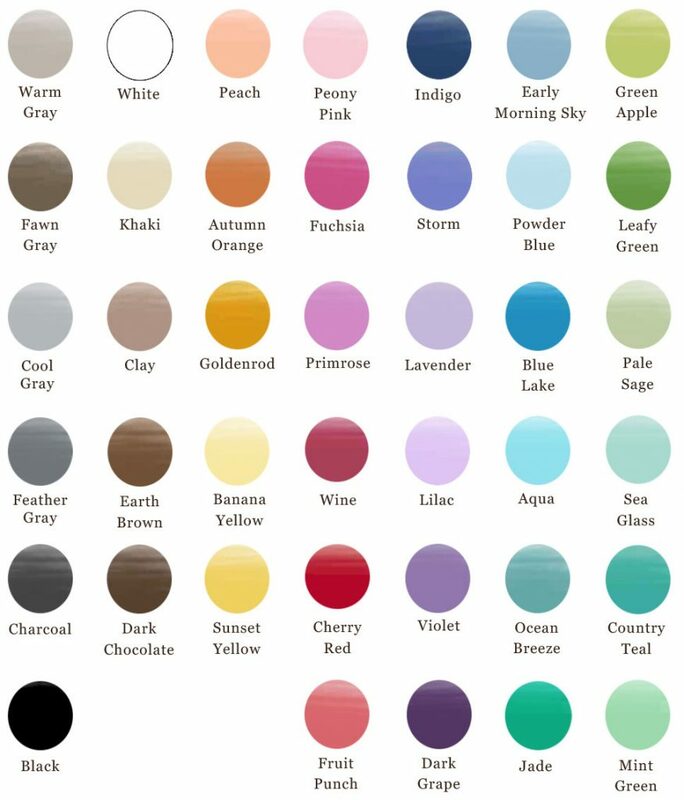 Step 1: Choose colors from the color chart below for the different parts of the flower painting. The circles are always white. Select your choices in the form below and click submit. Some parts of the painting have limited color choices from a drop-down menu. You can choose any color from the chart for all other parts. If you would like to see a mock-up of the color placement you choose, let me know in the “ask a question” box. Step 2: A reserved listing will be set up for you. A link to the custom listing will be emailed to you within 24 hours. Add the custom painting to your cart, and checkout to place your order. Step 3: In two weeks, your custom painting will be complete, and ready to ship to you. You will receive a shipment tracking link for your painting. Flower Wall Art, Hand-Sculpted Flowers. Bookmark.